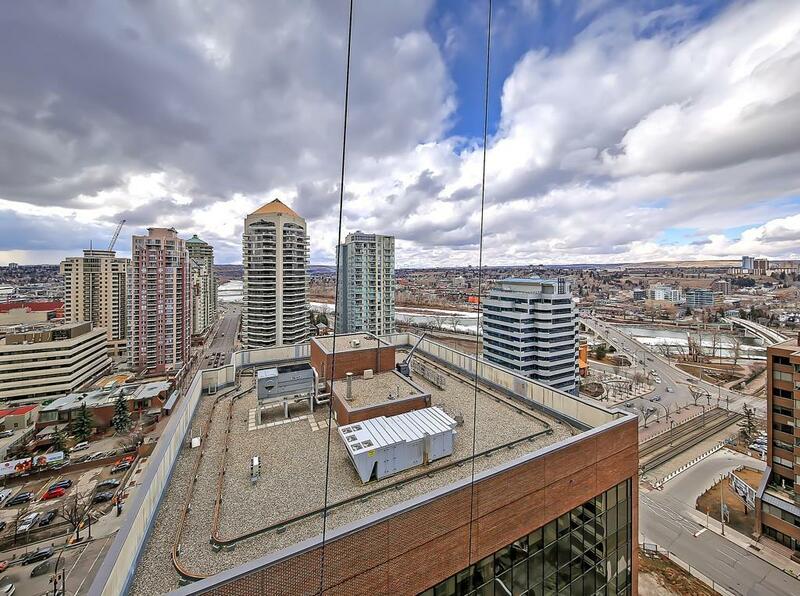 PHENOMENAL views for this 19th Floor SW-facing condo in the Vogue by LaCaille. 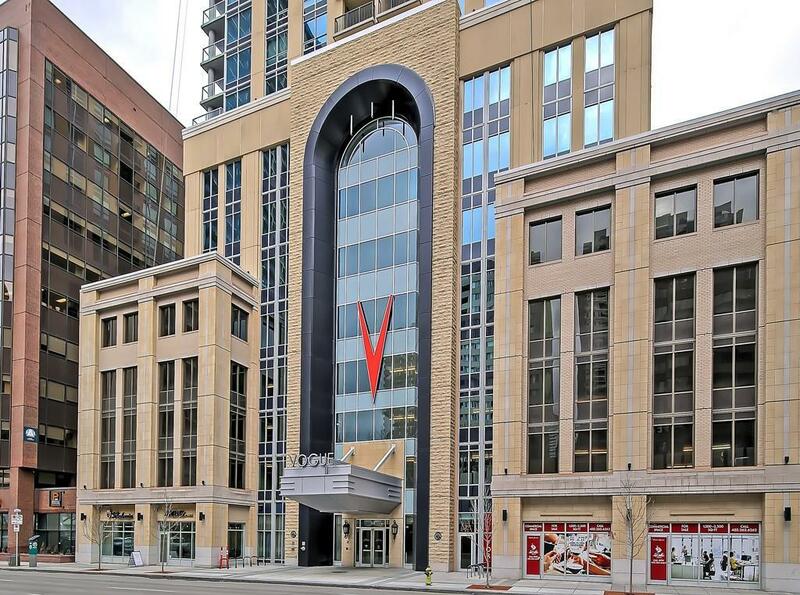 Located just steps to the LRT, river paths, downtown, shops, services & dining this condo is the epitome of the downtown lifestyle. 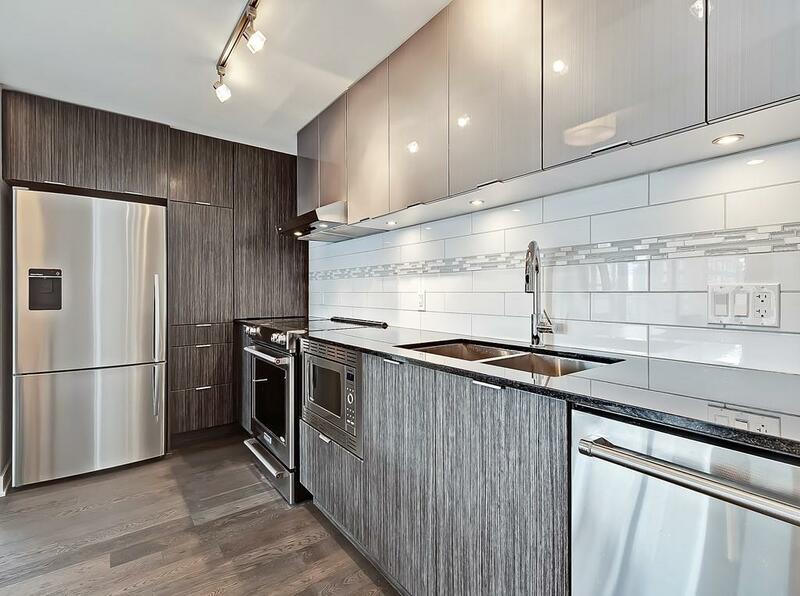 2-bed, 2-bath unit showcases high-end finishes, contemporary cabinets, quartz counters, subway tile back splash, under-cabinet lights & S/S appliances including a built-in microwave & Fisher Paykal fridge. 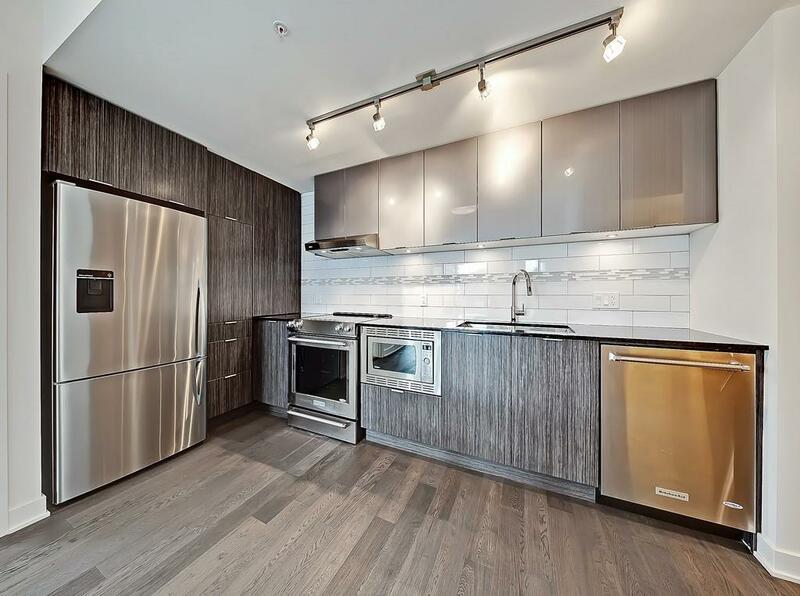 Open plan boasts engineered hardwood, floor-to-ceiling windows & balcony w/ gas hookup. Split design is great for roommates. Master includes windows on 2-sides & 4-pc ensuite w/ quartz counters & tiled tub/shower. 2nd bdrm has quick access to the main 3-pc bath w/ oversized glass shower. Insuite laundry, titled indoor parking, & extra storage locker. Amenities incl central A/C, full-time concierge, elegant lobby & 36th floor Sky Lounge w/ gym, studio, meeting room, social room & terraces. Low condo fees include heat, water, sewer, prof mgmt & more.